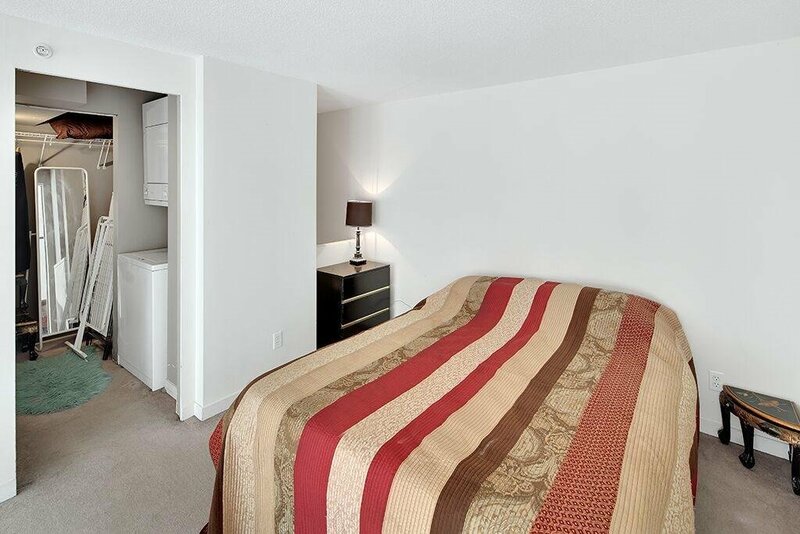 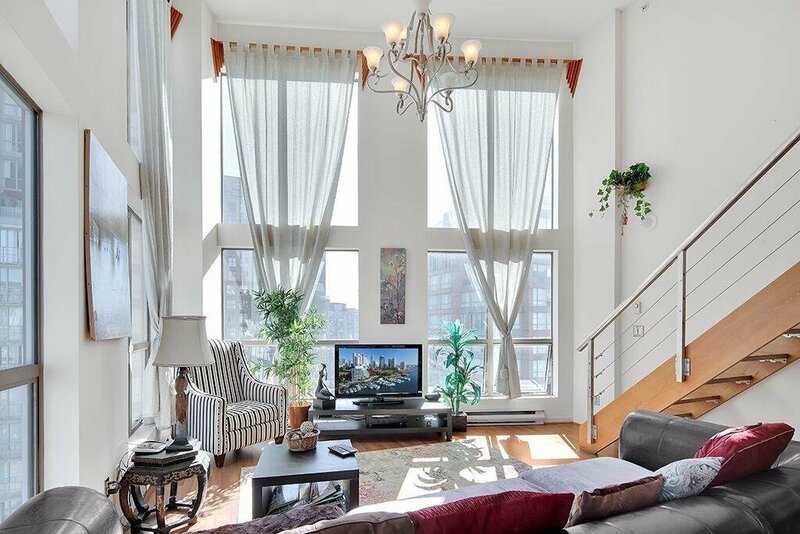 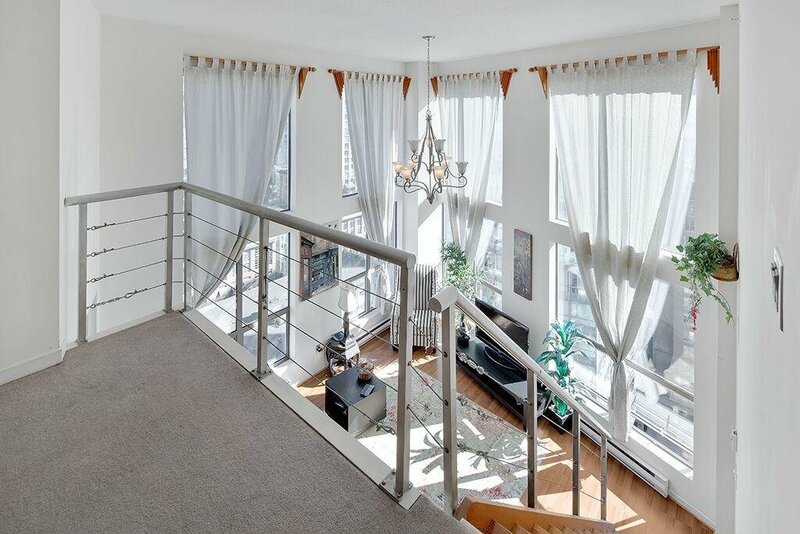 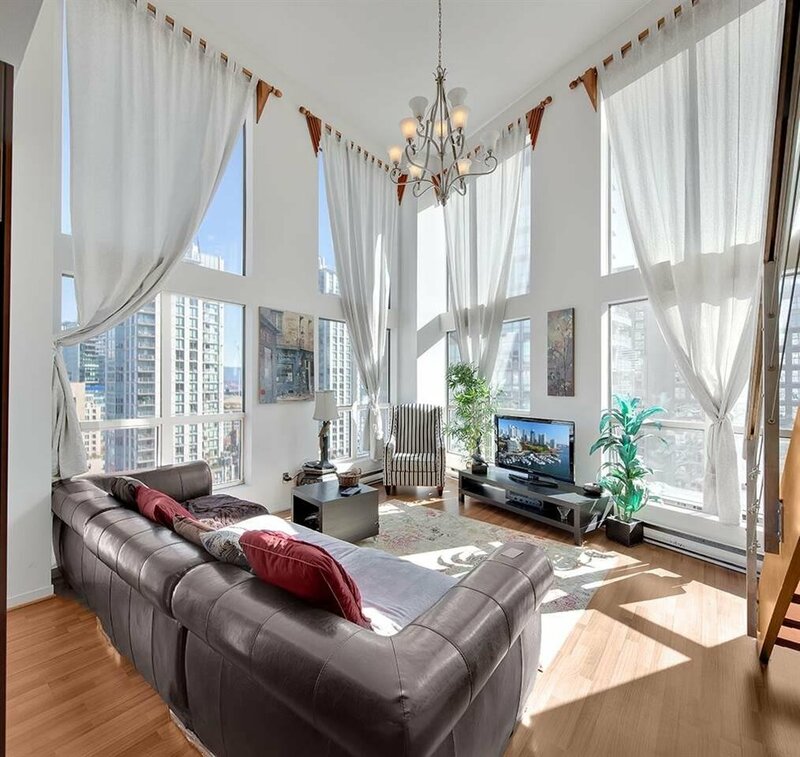 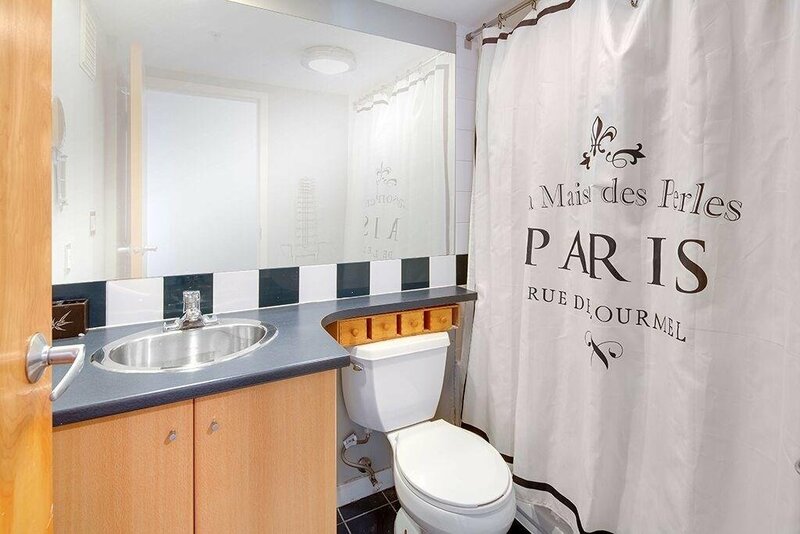 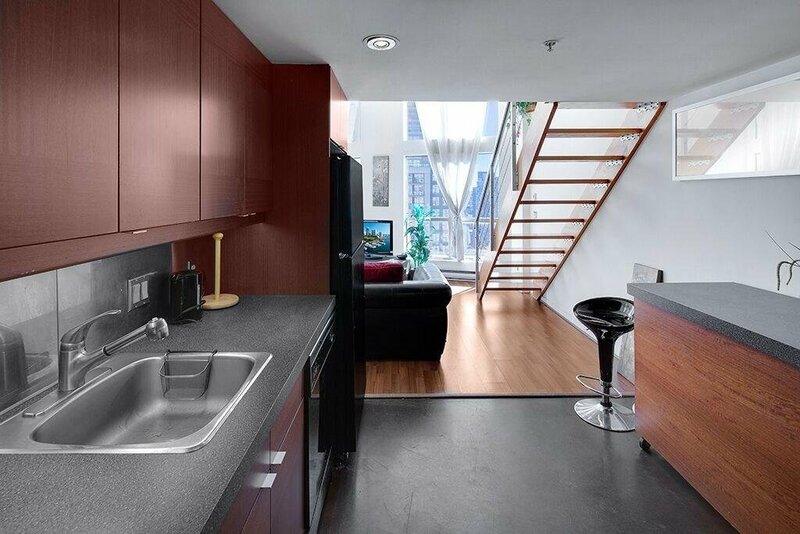 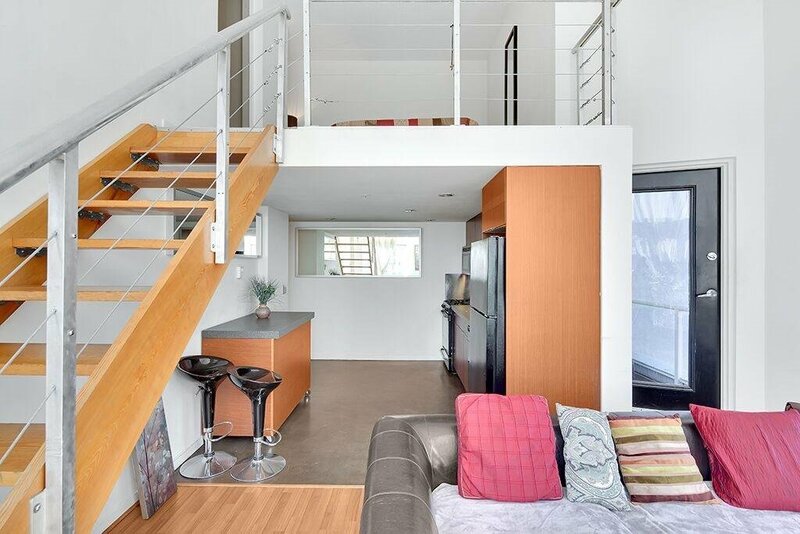 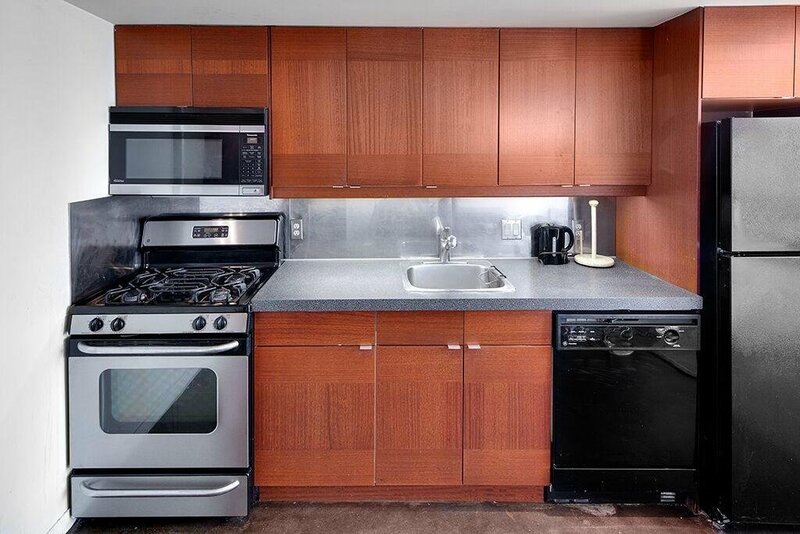 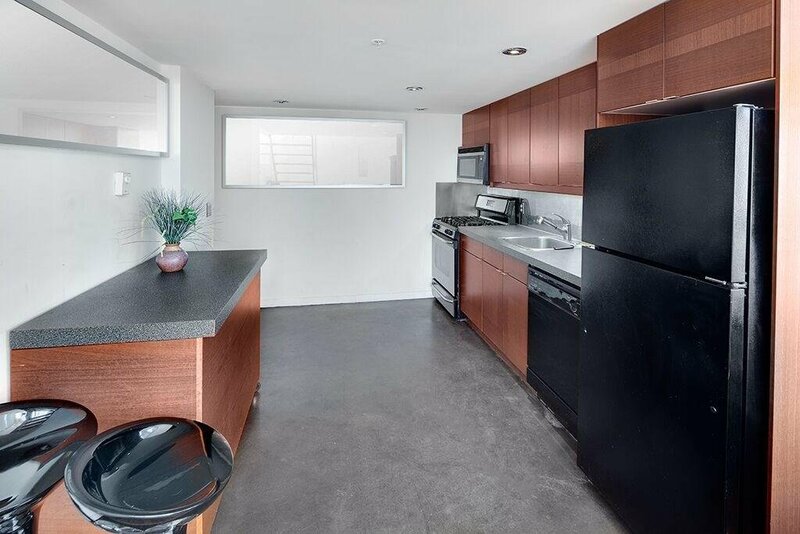 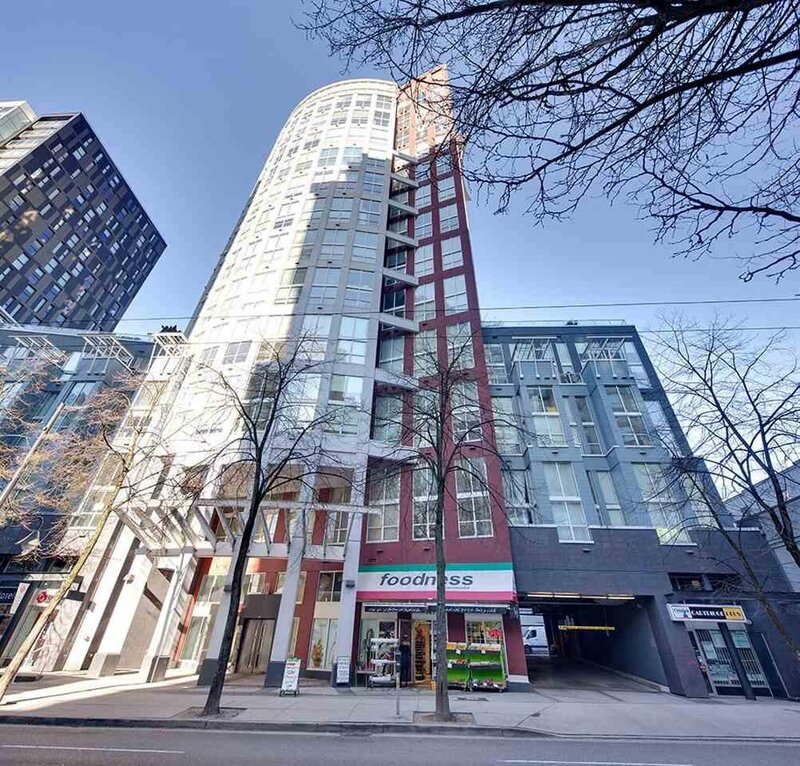 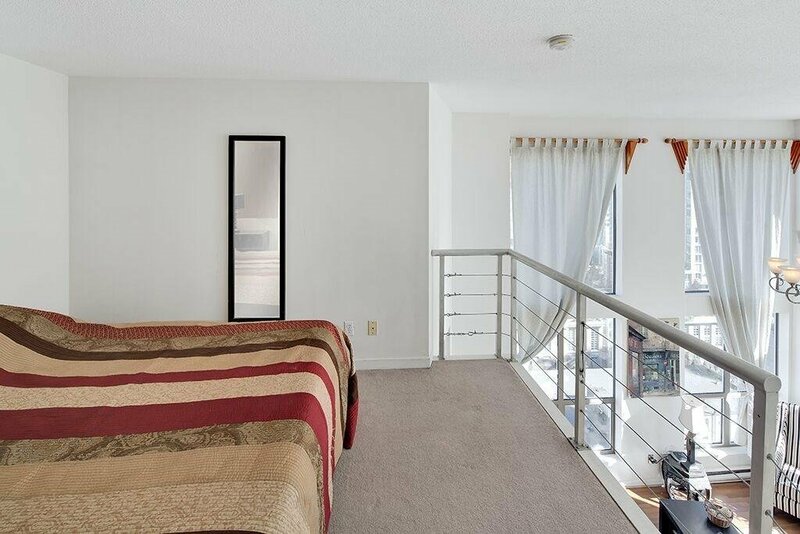 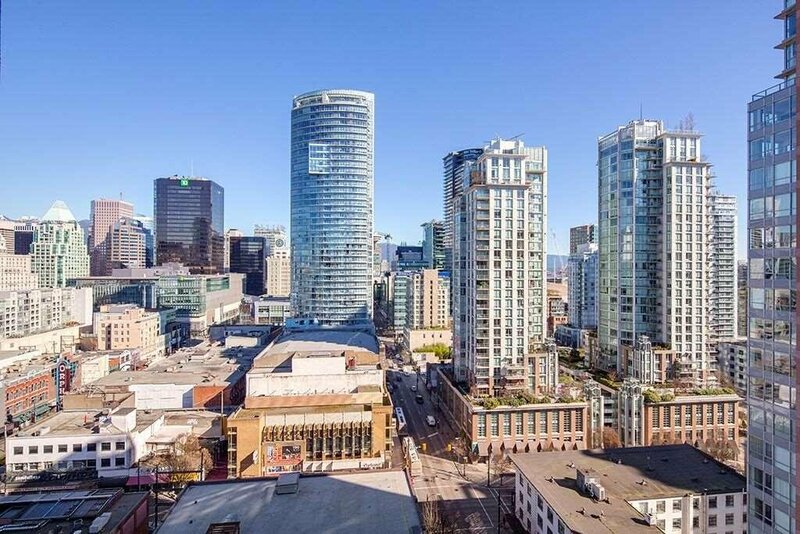 1112 933 Seymour Street, Vancouver - 1 bed, 1 bath - For Sale | Teresa De Cotiis - Behroyan and Associates Real Estate Services Ltd.
OPEN HOUSE SUN, APR 28, 11-1 PM. 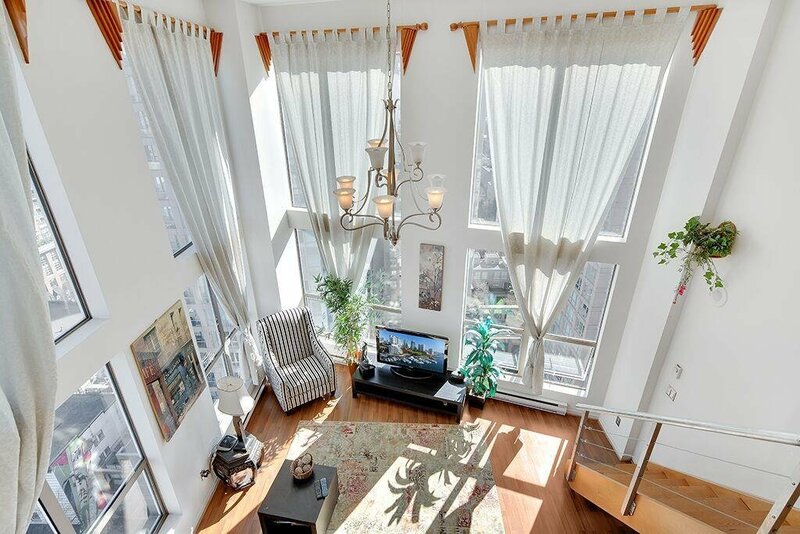 If you want to be right downtown and in the thick of the action, then this is the loft building for you. 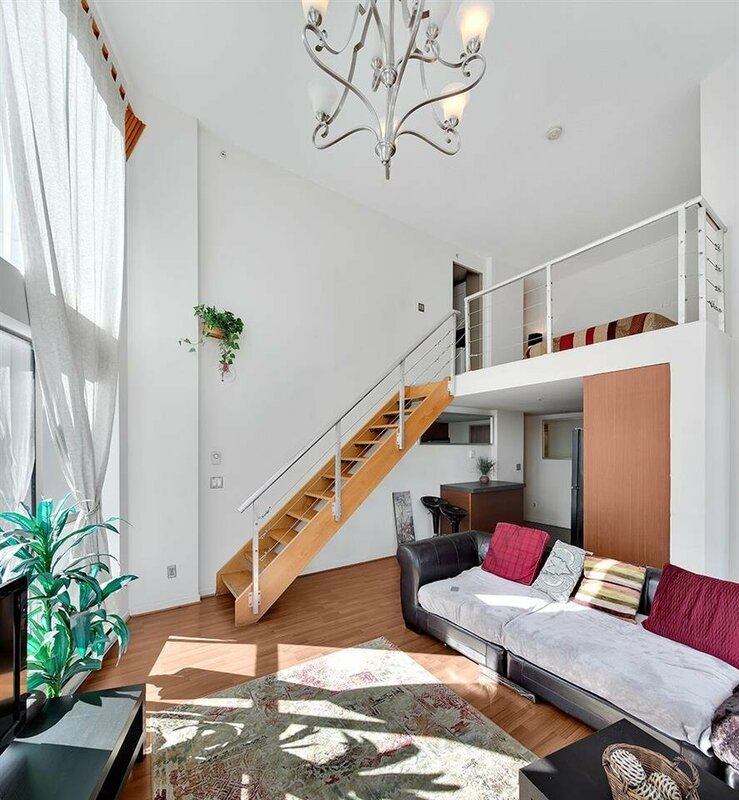 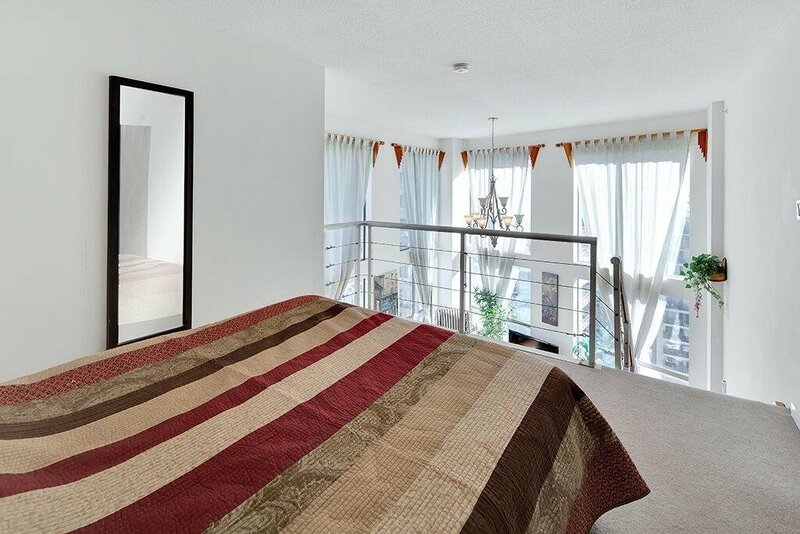 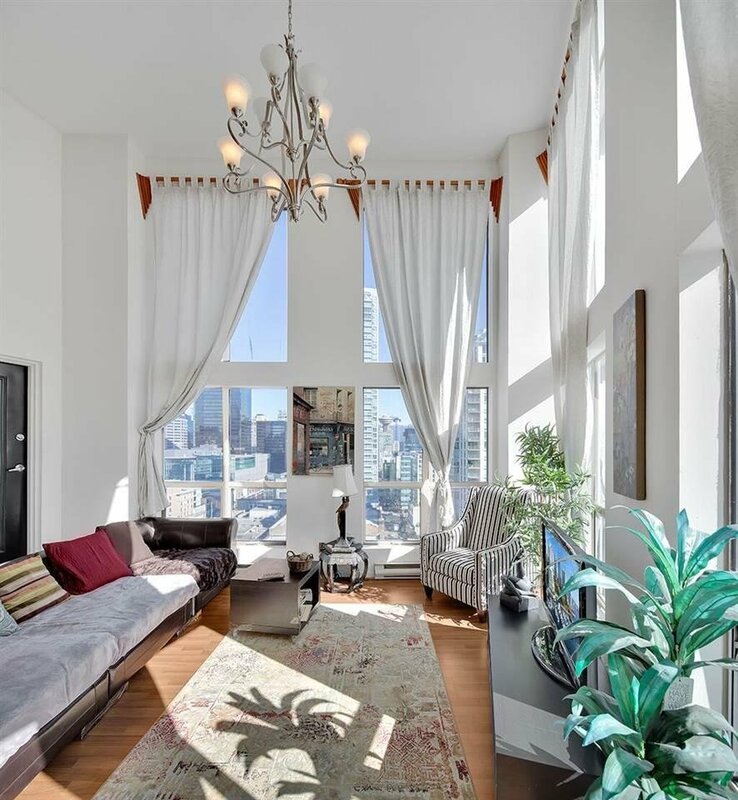 The nicest suite at the SPOT, spectacular 2 level loft, NE corner unit (best side of the building), with 16' ceiling and 14' window on the main floor, updated kitchen with flexible movable center island, full size washer/dryer, closet organizer & and private balcony. 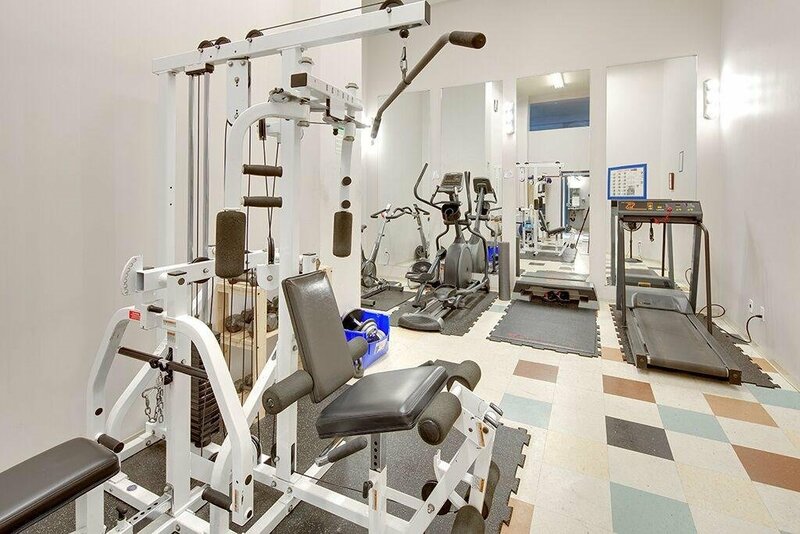 There is a gym and common deck with BBQ on the second floor. 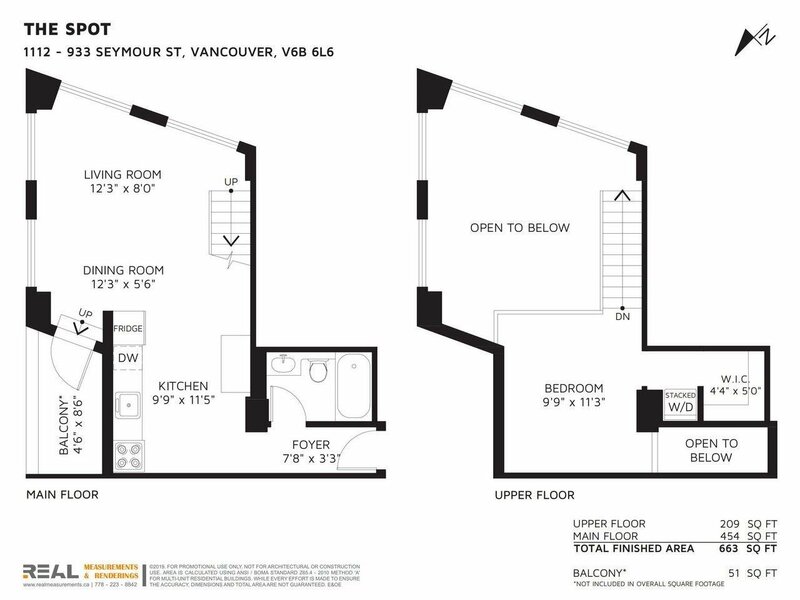 PLUS, the entire roof of the building is a deck - you'll enjoy great views of the fireworks in July and August. 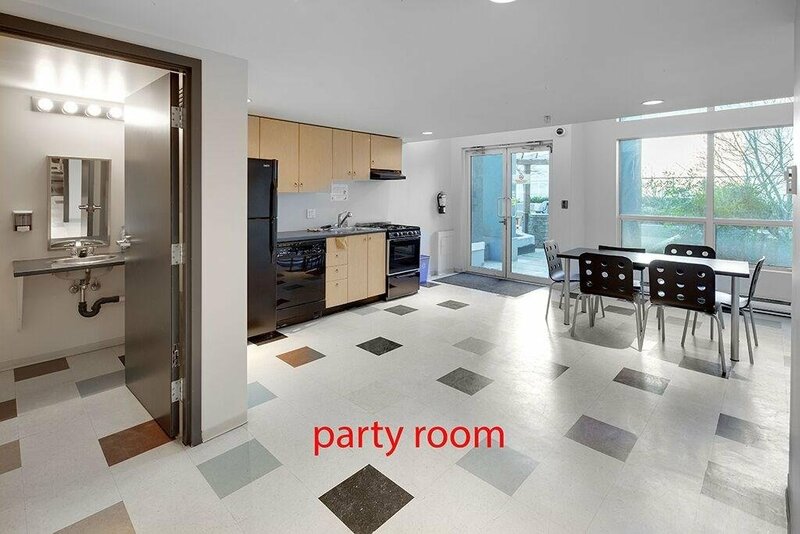 Rental is ALLOWED!